BEAUTIFUL, DURABLE AND EASILY APPLIED. Every building has its own profile and specifications. 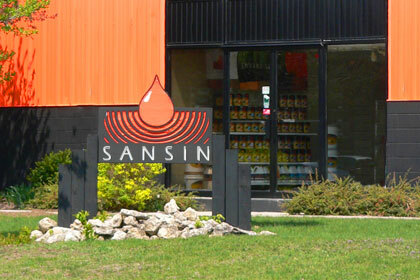 No matter the type of substrate, design or building challenge, Sansin offers a wide range of fire retardants, undercoat treatments, finishes, and preservatives to get the job done right – and more naturally. Specially formulated for pre-finishing and machine application, Sansin coatings deliver the color, durability and performance that architects, engineers and builders can count on.